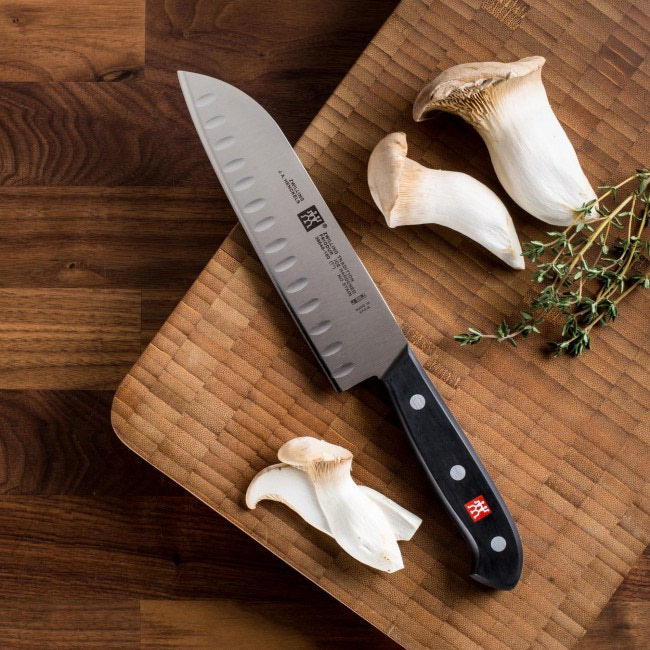 Lighter than Bolster Knives and an excellent choice for the ambitious hobby chef, ZWILLING Tradition is precision stamped from their high performance "NO STAIN" stainless steel. 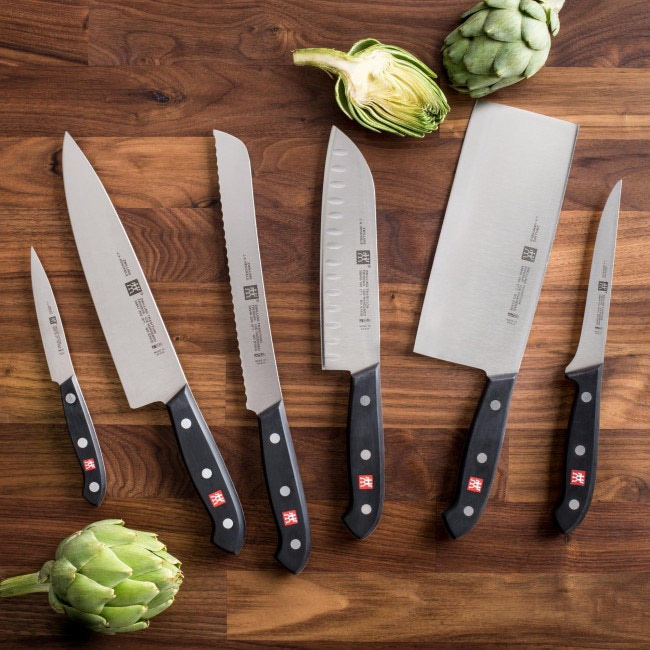 Featuring an ergonomic 3-rivet handle with an embedded TWIN logo, these knives deliver exceptional value without compromising quality and performance. 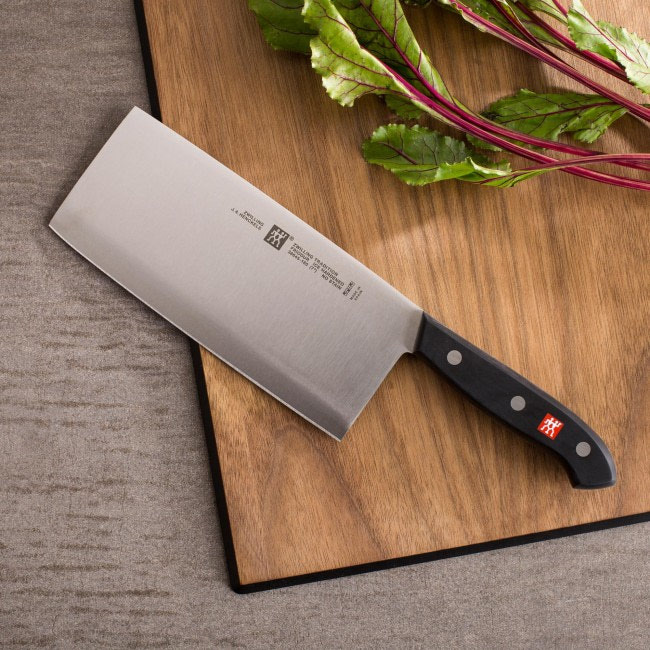 Zwilling Tradition Bread Knife 8"
Zwilling Tradition Carving Knife 8"
Zwilling Tradition Carving Fork 6"
Zwilling Tradition Vegetable Cleaver 7"
Zwilling Tradition Chef's Knife With Granton Edge 8"
Zwilling Tradition Bagel/Tomato Knife 5"
Zwilling Tradition Utility Knife 6"
Zwilling Tradition Paring Knife 4"